/ Posts Tagged "Bible worker"
A Bible worker receives a call from a distant village. “And a vision appeared to Paul in the night. A man of Macedonia stood and pleaded with him, saying, ‘Come over to Macedonia and help us.’ Now after he had seen the vision, immediately we sought to go to Macedonia, concluding that the Lord had called us to preach the gospel to them.” Acts 16:9, 10. “A few faithful missionaries are even now planting the standard of truth in fields far away. Publications are multiplying in many languages. These silent messengers are enlightening thousands. But as a people we come far short of moving forward as fast as the providence of God opens the way. Our General gives the command, ‘Go forward.’ Thousands are thirsting for living truth. The Macedonian cry is coming to us from every direction, ‘Come over and help us.’ We look about us, and inquire, ‘Who will go?’ O that every follower of Jesus might respond: ‘Send me. I long to do something for my Master.’” East Michigan Banner, September 29, 1909. To reach the village where my friend lived, it would require three hours of driving by motorcycle, and then a hike into the mountains. Brother Edgar Taborete. I invited them to join me on my journey. After hearing my friend on the phone, I considered this a Macedonian cry for help from his mountain village. “I must answer the call,” I thought to myself. I packed up my generator, amplifier and sound box, tying them tightly to the back of my motorcycle. After three hours of driving by motorcycle, we arrived at Proper Poblacion of T’boli. 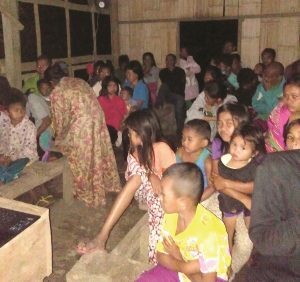 “If we stop in the village of Lamlait, we can safely leave our motorcycles there,” Brother Robeth suggested. When we arrived in the village of Lamlait we did leave our motorcycles there. 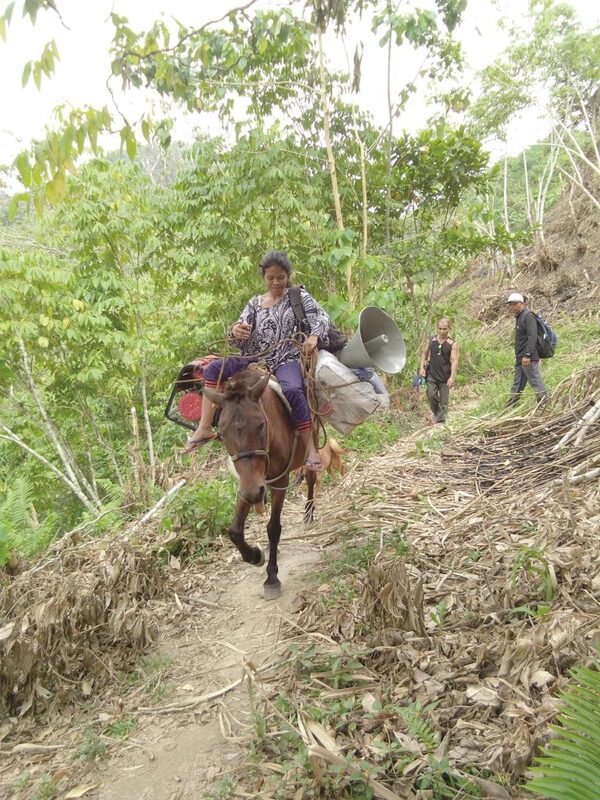 Datu, a friend in the next village, volunteered to bring some of the items we needed for preaching. He placed them on the back of his horse to carry. It took three hours of hiking to reach the village of Damlas, where my old friend lived. I met the leader of that village, and began to explain our intentions. “We belong to the Jesus Is Lord church,” the leader explained. “Would it be okay if we preach in this village?” I asked. The meetings began. As we talked about the doctrines of the Seventh-day Adventist Church, interested glowed in the leader’s eyes. How happy I felt to hear these words fall on my ears! How thankful I was to watch as the people accepted the messages of God. Author: Temtem is a Bible worker in South Cotabato on Mindanao Island in the Philippines. Pray for the Holy Spirit to lead Temtem as he nurtures this new congregation far up in the mountains and that this new church will remain strong in the Lord. Leaders at SETI, an evangelism training center in Brazil, take courage amid political and financial upheaval. Have you heard what’s going on in Brazil? Over the last few years, many political scandals have surfaced, and recently, the president was impeached. Economic turmoil has also reached a climax. Yet one crisis is greater than corruption and economic failure: the emptiness of soul that only God can satisfy. 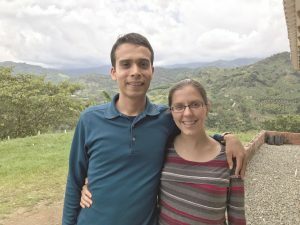 In the midst of the turmoil, Izael Santos Moreira, a 2015 Santo’s Evangelistic Training Institute (SETI) graduate, found a vast field to work for Jesus. SETI Bible evangelism students, 2016. 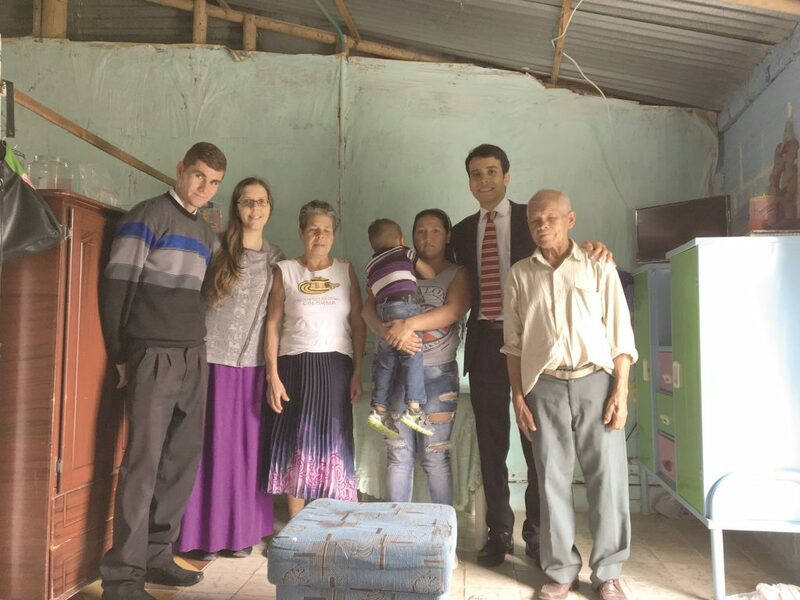 In April 2016, Izael received a call to serve as a Bible worker in Pereiras, a small town in São Paulo State. He began home Bible studies in the community and soon opened a small group study with 15 people. 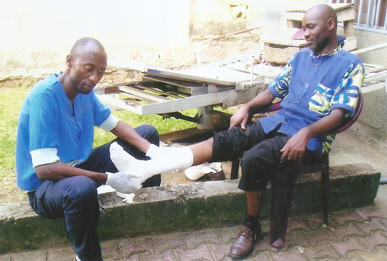 Izael also used his knowledge of health ministry when he learned that one of his contacts, Mr. Isaias, had serious health problems that interfered with his ability to understand the Bible. Izael helped him regain his health by putting him through a detox program, exercising with him and teaching him how to eat healthfully, often sharing his own homemade bread with him. 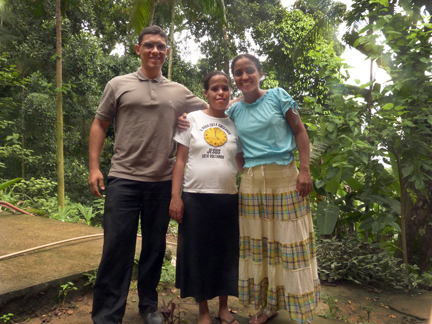 As Mr. Isaias began to feel healthier, his heart opened to the gospel. 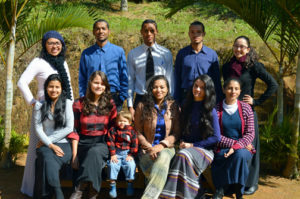 As last August’s Olympic games enthralled Brazil and much of the world, a group of dedicated young people arrived at SETI to receive thorough missionary training. 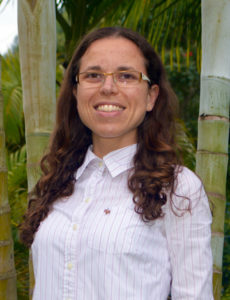 Ana Paula Duarte, 28 years old, had wanted to come to SETI for some time. She shares, “My experience at SETI has surpassed my expectations. In the classroom we have been deeply studying the Bible, and just being here has already made amazing changes in my life. “With lifestyle changes including eating a vegetarian diet and having a set time for waking, eating and sleeping, I feel improvements in my health. My mind is clearer, so I can absorb the classroom teachings more deeply. My favorite work assignment is on the farm. I’ve learned so much by being outside, working the land. 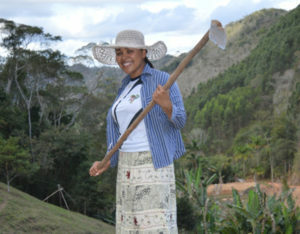 Ana Paula digging holes to plant guava trees. “My goal when I leave is to share the everlasting gospel. I am praying that the Lord opens a way for me to continue my studies and become a medical missionary. Certainly, SETI was an instrument in God’s hands to make me realize the importance of true education.” Testimonies like this encourage the team here to keep up the Lord’s work! 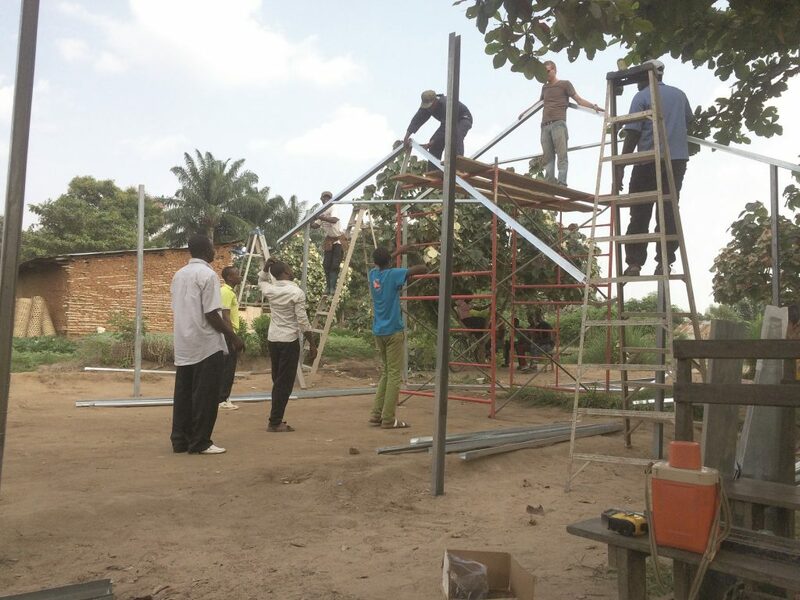 The national financial crisis has increased the need to strengthen SETI’s industries—both to help the school support itself and to improve the education students receive in agriculture and manual labor. A vineyard has already been planted and students and staff are working together to establish an avocado and guava plantation so that we can begin to market these fruits. Moving forward in faith that God will bring in the funds to purchase the plants, fertilizer, and irrigation system, workers have been digging holes for the trees and excavating a pond to use as a water supply for the orchard and vineyard during the dry season. Despite the national crises, we have hope! We see our students implementing the lessons they learned here, and we want to continue making a difference. We want to finish the work! We want to help prepare as many youth as we can to live the life God has planned for us—both here and in the life to come. God protects an Ethiopian convert from a lawsuit aimed at forcing him to stop preaching truth. As the chairman of an association of most of the Sunday-worshiping denominations in my district in southern Ethiopia, I used to oppose the efforts of the Seventh-day Adventist workers. But God had other plans for me. It started when an Adventist evangelist handed me a tract. I told him, “Please don’t give me that useless thing.” Yet in the evening, when I studied my Bible, I picked up the tract and began comparing it with the Scriptures. Soon, I began tuning in to a Seventh-day Adventist radio program. Slowly, God’s truths became clear to me. One day I sat down with my wife and children and told them that I wanted to become a Seventh-day Adventist. My wife said, “You can’t,” but I went to the church anyway to listen in. 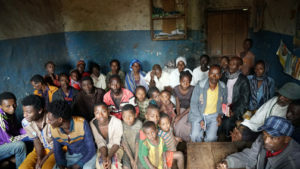 Deste with one of the church groups he raised. My first Sabbath, the elders asked me if I wanted to join the church. I told them, “I can’t answer you today.” But on my third Sabbath there, I made up my mind. I told the elders, “I am going to preach the gospel with you,” and I asked them to pray for me. When my wife still couldn’t accept my decision, I told her that I hoped that in time she would agree with me. If not, I would give her all our property and leave. That’s how sure I was that I should become a Seventh-day Adventist. I told him that wasn’t the problem, but that I had come to understand that the entire Bible is true. Under his questioning, I tried to explain my new beliefs. After the conference, the association filed a lawsuit against me, saying I was a false teacher who should be forced to stop preaching. I was summoned to appear before the government administrator. “Why are you causing religious agitations?” he asked. I told him that I didn’t know that what I had done was wrong. The Lord softened my wife’s heart, and she agreed to study with me and allow the children to attend my church. After my family and I studied the Seventh-day Adventist doctrines, we were baptized together. Then we started preaching the gospel. I’ve even shared with my previous church members! That was in 2014. Since that time, I have been blessed to serve in a number of Seventh-day Adventist churches, even raising up two churches in new places. About eight people have been converted from my old church. Two of the Sunday-keeping evangelists I used to work with have also been converted, and others are still studying. God has supported me thus far, and has used all my experiences for good. This gospel is feeding me and making me grow. I am sure God will continue leading me. I will follow Him! 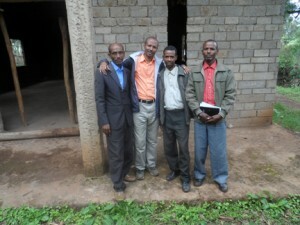 Desta Boke is a gospel worker in southern Ethiopia. Pray for the Holy Spirit to attend the Ethiopian workers’ labors as they share the Word and seek to establish churches in the mountain villages. Donate. Many Ethiopian gospel workers must find side jobs to support themselves and their families. 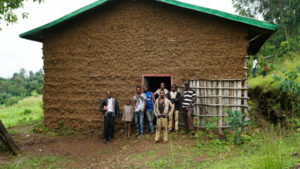 Your contributions to Mission Projects International marked “Ethiopia workers” provide for their support and enable them to devote their undivided energy to spreading the everlasting gospel. When Highwood Health Retreat hired me in March 2013 as their first ever full-time Bible worker, I was sure God had led me here. There was so much work to be done! 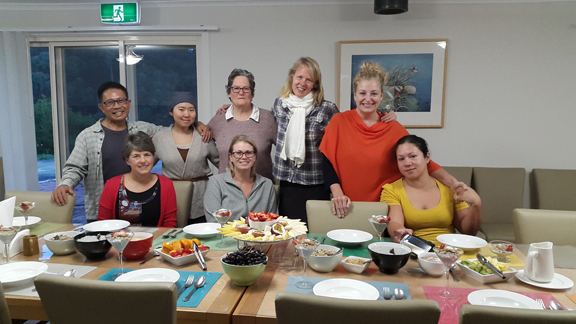 Many guests had gone through the wonderful NEWSTART® health program over the years, and seeds had been sown. My heart’s desire was to connect with people who might be willing to learn more about the Healer they had glimpsed at Highwood! As yet nobody had signed up for me to give them Bible studies, so the work started small. I would have to tread carefully since most guests come to Highwood for help with their health, not for Bible instruction. My work would be twofold: I would spend time getting to know the current guests, taking them for walks, eating with them and sharing a devotional each morning and evening for anyone interested; and I would follow up with former health guests to find any who might be open to studying. To reach out to previous guests, I called them and asked how they had liked their stay at Highwood. I surveyed them about the food, the therapy and those sorts of things first, and would end by asking them to evaluate the spiritual aspects of Highwood. Their answers helped me decide where to go next. Could I offer them the health-related Bible studies I had developed? Would they be open for a personal visit? Stine (third from right) with Highwood health guests and staff. Little by little a circle of special Highwood friends developed. Some were happy for me to visit their homes; others would meet me in a nearby park or restaurant. Our conversations often turned to spiritual topics. Sometimes I would bring my guitar and sing gospel songs. It was slow work, but I knew from the Spirit of Prophecy that “the Saviour mingled with men as one who desired their good. He showed His sympathy for them, ministered to their needs, and won their confidence. Then He bade them, ‘Follow Me.’” The Ministry of Healing, 143. As I look back, I can only praise the Lord. I now have many Bible studies going, most of them with former Highwood guests! With some it took months or even years of friendship before they were ready for Bible studies. That’s why we can’t give up! Nikki, 30 years old, is a special friend I study with over the phone. She came to Highwood in 2012, a business-oriented woman with a lucrative job. Her stay at Highwood really impressed her—there was something different about this lifestyle. Going home, she started a spiritual quest. I kept in touch with her over the phone, and we met occasionally. Unfortunately, she seemed to gravitate toward the New Age movement. Still, I kept talking with her and praying for her—and the Lord heard my prayers. Recently, when I visited Nikki, I found her ready! “I was looking forward to you coming, as I wanted to hear more about Jesus,” she said. Then she told me about a client of their business. She had given the old gentleman excellent service, and to show his thankfulness he requested to give her a little book. She took the book home and started to read. “When I came to the passage about forgiveness, I asked God to help me experience it, and I just had the most amazing feeling of something happening within me!” she shared. “The man who gave me the book was a Seventh-day Adventist,” she added. When I suggested we study a Bible course together, she willingly accepted. “I have never experienced more peace in anything else but this God thing,” she expressed, “so I will give it a go!” In addition to studying with me on the phone, Nikki is reading The Ministry of Healing. Would you keep Nikki in your prayers? Another former Highwood guest is Anna. When she came in 2015, we made an almost instant connection. Although not Christian, Anna was very open, and very impressed with what she experienced at Highwood. Through text messaging, she sometimes shared with me her struggles with bad habits and depression, and told me how she envied my faith. Still, she didn’t seem ready to make it her own. I kept trying to encourage Anna and kept offering to visit, but various things kept coming in the way. Finally, last April I got the message I had hoped for: “I would love to catch up with you.” We met up, and what a change! She had started to make steps to overcome her alcoholism by visiting Alcoholics Anonymous. She was keen to show me the flyer they had given her, and I could quickly see that it was very spiritual. Alcoholics Anonymous admits that you cannot win the battle against alcohol in your own power—that you need a Power from outside to help you. The sad thing, though, is that they say you can relate to God however you see Him—in other words, you can create your own idol. Nevertheless, Anna was motivated to overcome, and God gave me an idea: Why not offer to tailor Bible studies for her connected to what she was learning in Alcoholics Anonymous—studies that show how to get to know the true source of power? I offered, and for the first time she said “yes” to Bible studies! We began by studying our own hopelessness as sinners, our overwhelming problem of addiction to sin. When I told her why Jesus, our only way out, had to die on the cross, I could see she was touched. “This is so special,” she said. “I have never thought of it this way before!” She has now started to read The Desire of Ages, and we are continuing our weekly Bible studies. I request your prayers for Anna! Maria came to Highwood last January open-hearted and eager to learn. I was out of the country most of the time she was here and barely got to know her before she left. Still, when her boyfriend came to pick her up, I hurried over to say “goodbye.” Their car was already rolling, but they stopped so Maria could get out and give me a hug. “Maria,” her boyfriend asked, “have you asked Stine about giving you Bible studies?” Right then she asked me to come and study with her! Maria went through 30 Bible studies in record time, not only studying when I was there, but also doing lots of homework herself. At times she struggled, wondering if it would be right to convert from a nominal Catholic to a Seventh-day Adventist. Then one day not long ago she called me. “Stine, could you come and visit us tomorrow? We have some very special news!” When I told her I was not planning to go out that day, she said, “Then I want to tell you the news over the phone. I have made up my mind; I want to get baptized!” Praise God! Maria is soon to move far away. I know the devil will place obstacles before her, so would you please pray for Maria too? By Stine G. Struksnaes. stine@highwoodhealth.org. For more on Highwood Health Retreat visit www.highwoodhealth.org or www.facebook.com/A-place-of-my-heart-150082708486064. Tamiru Gomele used to be an evangelist at th Full Gospel church here in Kuyera, and he was also the leader of the local ecumenical churches. Today, Tamiru is part of the Seventh-day Adventist Church as a result of a dispute that arose between Kebede Kenito—an Adventist gospel worker in the area—and the Full Gospel church members. Tamiru’s church members wanted to know whether or not the words of the gospel worker were true. After many discussions between Tamiru and the church members, the new truth shone in his heart and he decided that the Seventh-day Adventist Church was the true church. During a meeting, the congregation of the Full Gospel church came to the conclusion that Kebede would be allowed to preach because he was teaching the truth. They stated that the decision of accepting what he preaches would be up to the individual. From that point on, Tamiru began to scrutinize the scriptures. 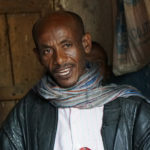 Secretly, he started a Bible study with Kebede and after he became familiar with some truths, he began teaching his friends who were members of his former church. He felt a burden to witness for those souls who had not received the newly-found truth. One day, he called the church leaders to a meeting and warned them that they were responsible for abolishing the biblical Sabbath. During the meeting, he asked the church members to change the name of the Full Gospel church to Seventh-day Adventist. If they were not willing, he would join the Seventh-day Adventist Church because of the truth he recently accepted. Before leaving his former congregation, he gave literature to the church leaders. 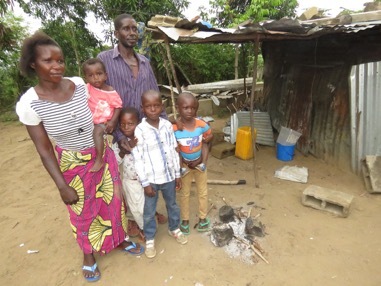 Once he left the church he started worshiping with his family and others in his own small hut. 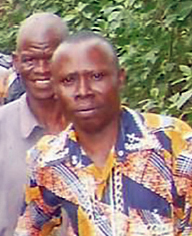 Tamiru faced many challenges after leaving the Full Gospel Church. His former church leaders, both from within and without the country pleaded for him to not “mess up the church.” According to them, no church is greater than the other. Then they promised to give him a raise, saying, “If you have any disagreement with the church, we will make reconciliation.” They also tried to cause a separation among his own family members by attempting to influence them, but because he had been teaching his family the truths he found, the church leaders were not successful in keeping his family in the Full Gospel Church. When other tactics did not work, the leaders accused him for his teachings and presented him to higher and higher levels of administration. He ran into more difficulties. His own church members accused him of bringing heresy into the church. Based on this, they proclaimed in the village that people were not to have anything to do with him, not to communicate with him, and not to welcome him into their houses. “Thus persecution followed the teachers of truth from city to city. The enemies of Christ could not prevent the advancement of the gospel, but they succeeded in making the work of the apostles exceedingly hard. Yet in the face of opposition and conflict, Paul pressed steadily forward, determined to carry out the purpose of God as revealed to him in the vision at Jerusalem: ‘I will send thee far hence unto the Gentiles.’ Acts 22:21.” Acts of the Apostles, 233. Despite all these challenges and persecutions, Tamiru is a firmly established Seventh-day Adventist church member and has been serving the church and witnessing for truth with his God-given talents. 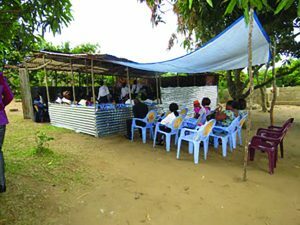 Many people are coming to worship in our local area, but those who came from a denomination with a large church building find it challenging to worship in a small hut. They have repeatedly requested a church building. Even though there have been many challenges beyond those mentioned here, God has been working miracles in the area. The truth has been kindled like a wildfire. Hundreds of souls are coming to the truth. Tamiru has a great zeal to work for the Lord and he has a vision to bring many into the remnant church. Despite our financial constraints, we are planning to employ Tamiru as a gospel worker in this area. He has already been working for our church without pay. In his former church, he was a paid employee. But he is a zealous worker and many have been added to the church because God has been using this faithful servant. Please pray for Tamiru, his family, and for the local people, as God has been moving the hearts of many souls. Pray also that God will provide them with a church building in which to worship. “It is the faithfulness, the loyalty to God, the loving service, that wins the divine approval. Every impulse of the Holy Spirit leading men to goodness and to God, is noted in the books of heaven, and in the day of God the workers through whom He has wrought will be commended. They will enter into the joy of the Lord as they see in His kingdom those who have been redeemed through their instrumentality. And they are privileged to participate in His work there, because they have gained a fitness for it by participation in His work here. What we shall be in heaven is the reflection of what we are now in character and holy service. Christ said of Himself, ‘The Son of man came not to be ministered unto, but to minister.’ Matthew 20:28.This, His work on earth, is His work in heaven. And our reward for working with Christ in this world is the greater power and wider privilege of working with Him in the world to come.” Christ’s Object Lessons, 361. By Tesfaye Tadese Hailegnaw of the Gospel Ministry, Ethiopian Adventist College, Kuyera, Shashamanne, Ethiopia and Daniel Shamebo Sabore, Managing Director and lay worker of the Gospel Ministry, Federal Way, Washington, USA. Phone: 253-835-0107. Email: dshamebo@yahoo.com. Support for this ministry can be sent to Mission Projects International, PO Box 58656, Renton, WA 98058.